What do you think of certain hair colour brands list? Some may be harsh, and some may have horrendous outcomes for those with particular hair and skin types. However, many rise to the top, depending on the exact results you’re looking for. After all, there are specific products for achieving a glossy finish or the brightest blond or any number of expectations. That is why we constructed the following list of the best hair colour brands for your hair extensions. 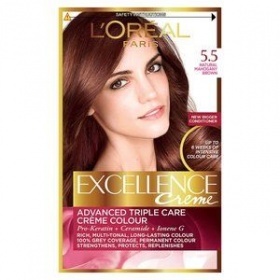 This is a great hair colour product when it comes to longevity. 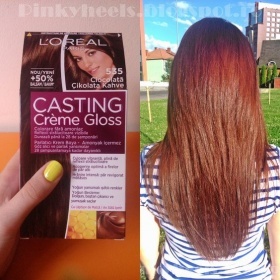 It may seem a bit strong to some at first, and you may not want to leave it in for the recommended 20 minutes, but the end result is long-lasting colour and shine that hardly fades over the next several months! Do your tresses seem a bit stressed? Sometimes we can trim off split ends to maintain the health of our manes, then lose that added dose of health when our chosen dye turns our hair to straw! If this has happened to you, you should try this product. Creme Gloss’s formula ensures a glossy finish and ultra-healthy look. This is because it contains no ammonia and has the added conditioning ingredient, Royal Jelly. It’s a must try for gals with naturally-dry hair. Looking for a radiant bleached-blond look for the approaching summer? 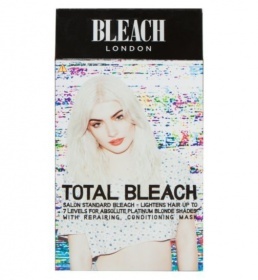 Look no further than Total Bleach Kit! Even those starting from a dark brunette or black natural color can join the tow-headed masses with this simple-to-use system. 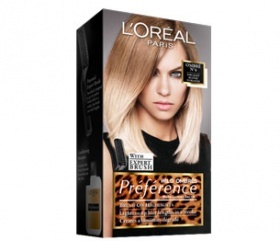 Do you want a blond that is just as glamourous, but not quite as dramatic? Clairol’s Nice n’ Easy Champagne Blonde formulation can transform your ho-hum tresses into a Hollywood, head-turning blond hue in only one application! 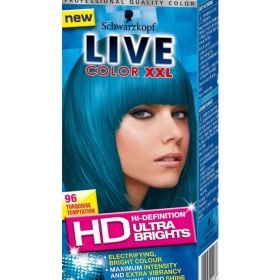 For the divas out there that like to live on the edge, XXL Ultra Bright is sure to bring the party! This colour comes in vibrant hues such as raspberry, pink and sky blue. Though it may be bold in colour, the product is ultra-gentle on your hair, and leaves it smelling nice and feeling especially soft. It also lasts several weeks! A must-have for summer! If you are looking for intense grey coverage with a strong, built-in conditioner, Olia is your best bet. The first colour product to infuse hair oil in its mix, Olia knows the importance that this lifesaving liquid has to those of us that are cursed with dry locks. 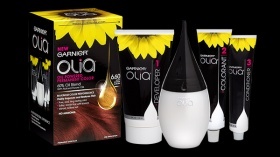 Are you looking for a salon-quality finish from your at-home dye kit? Do you think that it is too much to ask for? Guess again. 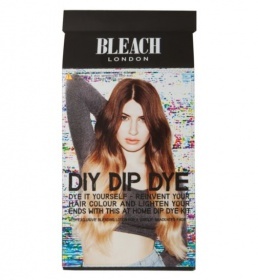 The Dip Dye Kit provides you with amazing results while maintaining the natural moisture in your hair, and it only takes minutes to achieve the look you want! Ombres from L’Oreal is another great product that is guaranteed to fool your friends into thinking you spent the entire day at the salon! The kit includes a specially-made brush that allows you to comb the colour through your hair in a gradual manner to acheive the now-popular two-tone look. It’s very simple and you’ll marvel at the results! Still prefer the salon, but you’re too busy to get in on time for touch-ups? Don’t fear! Color Wow’s Root Cover Up is the perfect solution for a quick cover between visits. 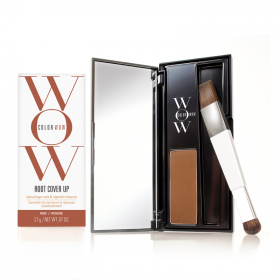 It is easily applied in a fashion similar to eyeshadow and effectively covers those pesky roots in a snap! 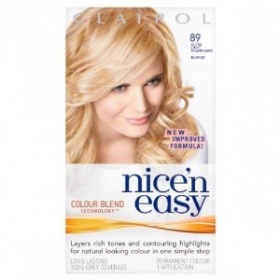 It’s a must have for anyone that colours their hair. Are you quite busy? Are you looking for simplicity? Then Precision Foam is the simple and quick solution to your hair-dyeing needs. If you are new to the process, and you fear making a bloody mess of your loo, then this product will ease those worries. The foam will encapsulate each strand so you can be sure that you are not missing any hair. Also, the solution is designed so that it won’t drip all over your shoulders and back (no matter how long your hair is). It is definitely the easiest colouring product to use on this list. So, are you going to spend what is left of your time and money at the salon, or are you willing to give one of these fine brands a try?